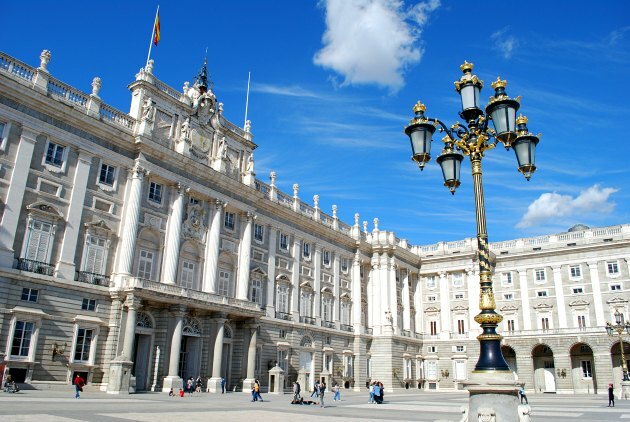 Royal Palace (Palacio Real de Madrid) – although this huge palace is rarely used by the Spanish royals these days, its historic lavish finery is all on show to visitors. The royal apartments are as beautiful is you’ll find in Europe. It’s a shame more of the palace is not open to visitors, but it’s still well worth seeing. 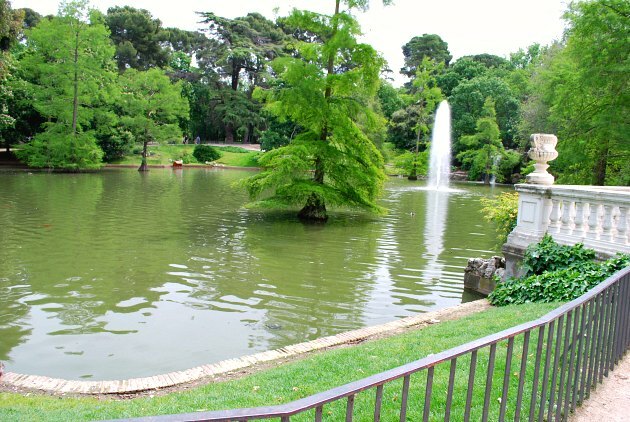 El Retiro Park (Parque de El Retiro) – This park is a real gem with lots to see and do. 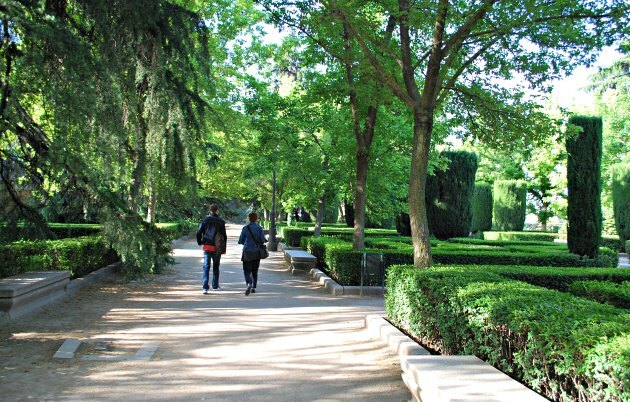 It’s the best park in Madrid without a doubt and the boating lake, crystal house and rose garden are particular highlights. A great place to relax and unwind. 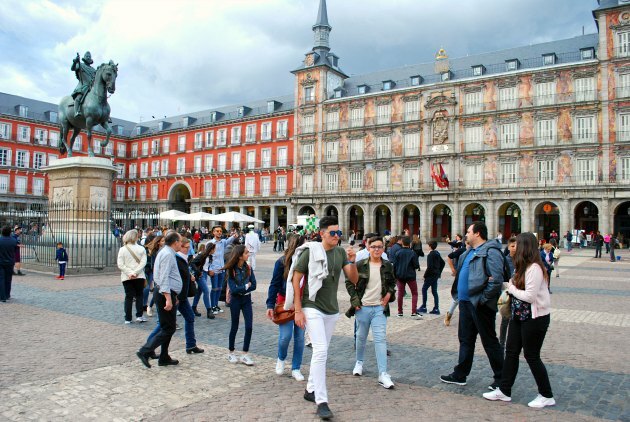 Plaza Mayor – One of Madrid’s must-see attractions is the historic square which heralded the city as the Spanish capital. Three sides are identical in design, but the centrepiece building has beautiful artworks painted over its exterior. There’s a friendly atmosphere here too with street performers and cafes a plenty. 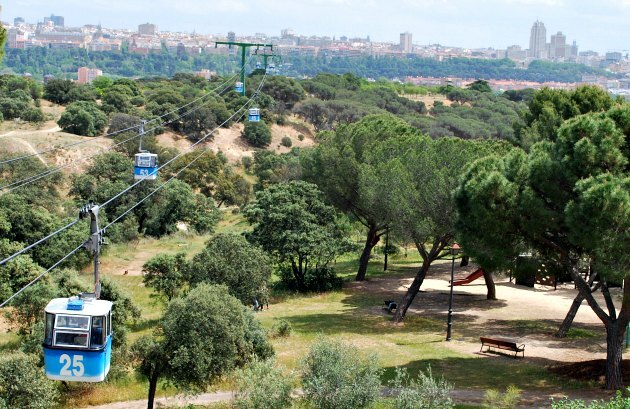 Casa de Campo Cable Cars – Take a trip in the air on the cable cars which travel from Parque del Oestre to the viewing Casa de Campo. There are great views along the way and when you get there you can enjoying the cafe with a panoramic outlook or walking the pathways of the park. 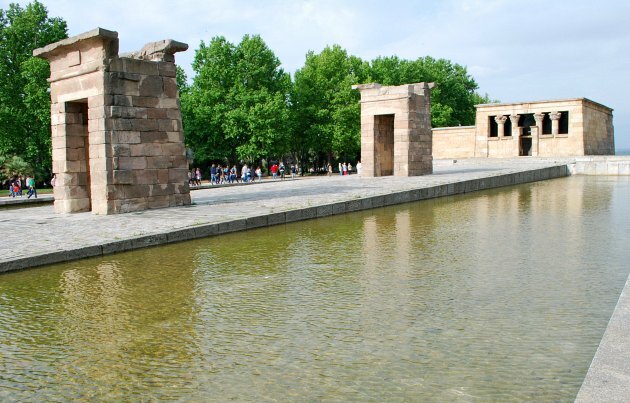 Temple of Debod – This ancient Egyptian temple was removed from the banks of the Nile and transported to Madrid in the 1970s. It’s recently been renovated and inside you’ll find more about its history and original size. There’s a lovely park which has been crafted around it with nice views over the city. 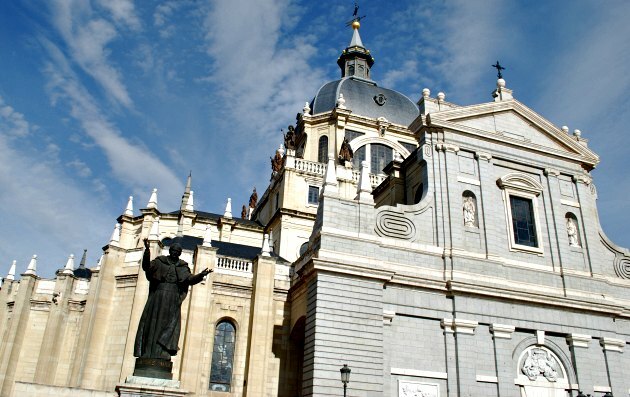 Almudena Cathedral – if you want to see some lovely examples of modern art stained glass, this cathedral should not be missed. The crypt underneath is also open to the public and has its own area for services. Mercado de San Miguel – A great place to sample the culinary delights of Madrid, but you’ll need plenty of cash. Alternatively, just walk around and soak up the sounds and smells. 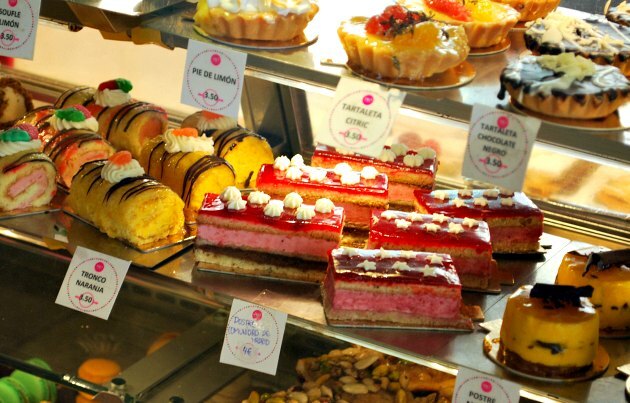 You’ll find gourmet tapas, luxury olives, Spanish cured meats and fancy pastries all on sale here. Madrid City Hall (Palacio de Cibeles) – This Gothic masterpiece has had various uses over the years but it’s turrets and towers are well worth seeing. It’s more of a castle than a civic building. Even better is the view of Madrid from the viewing gallery at the top of the central tower. Royal Palace Gardens – There are two parks which together make up what was once the palace gardens. The best without doubt is the Jardins de Sabatini with its statues and water features. The other is the much larger Jardins del Campo del Moro which are much more unkempt, but still a relaxing place to be. 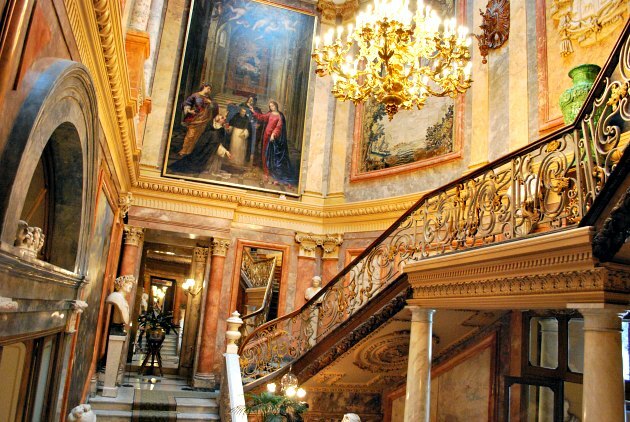 Museo Cerralbo – What seems like an unassuming town house near Plaza de Espana is actually home to some palatial luxury. The Marquis Cerallbo collected items from around the world to furnish his home which includes an armoury and a magnificent ballroom. This is one of the hidden gems of Madrid. We stayed at the Apartosuites Jardines de Sabatini which overlooks the palace gardens of the same name. 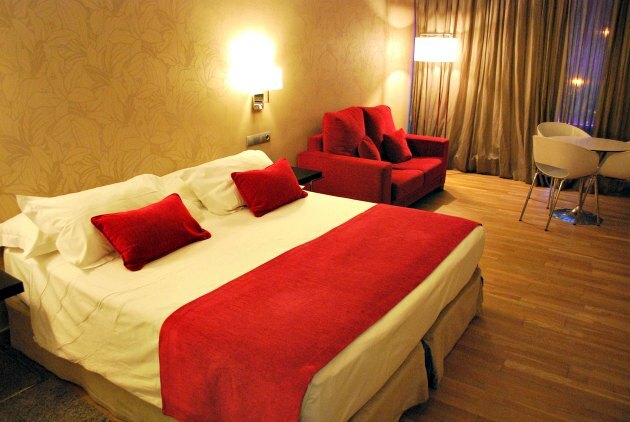 The hotel was excellent and we wouldn’t hesitate to recommend it to others. It’s in a great location, the rooms are lovely and the addition of a small kitchen is very handy. The service in the hotel was great and the staff were always professional, friendly and helpful. Best of all the roof-top terrace offers superb views of the Royal Palace and a bar at night. Madrid has a reliable, efficient and reasonably priced metro system with stops at the the major sights. It’s also easy to walk around the main sights in the city centre. We were able to get everywhere we needed to on foot from our hotel near the Royal Palace. 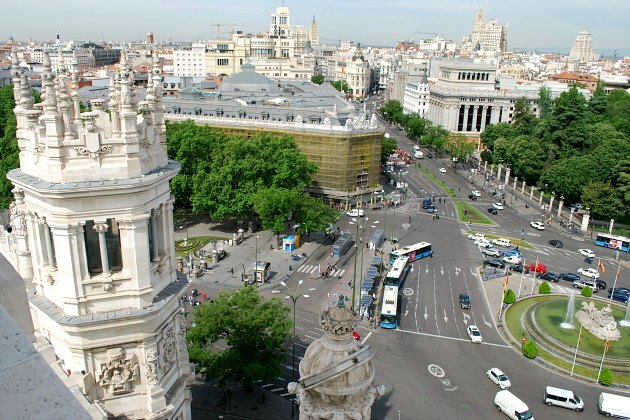 You can also use the Madrid Hop-on, Hop-off Bus Tour to get around. Madrid Barajas airport is on the main metro system with stops at Terminal 2 and Terminal 4. A journey into Madrid takes around 15 minutes. Taxi journeys are fast and are at a set rate of 30 Euros (2017 prices). We also tried the train option from the Renfe station at Terminal 4, which was slow as we needed to take the connecting bus first. It is cheap though at 2.60 Euros (2017 prices). For other options including private transfers, click here.